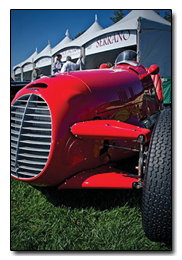 The opportunity is before you, thousands of attendees will be coming to the Niello Concours at Serrano. It is the perfect high end demographics, an attendee, a potential customer, who might need your product or service will be there. The Niello Concours at Serrano has proved that this is an event for a person who appreciates the finer things in life. Vendor booth space is very limited. Only one booth will be sold per business category so yours is exclusive. Please respond well in advance to ensure availability. Michele Moore 916.635.2445 or MMoore@TheConcours.net.